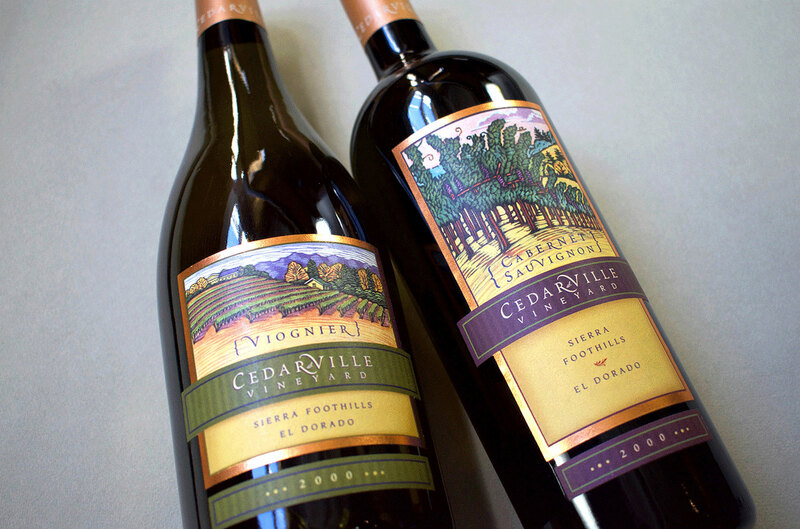 Cedarville Vineyard – Flint Design Co.
Cedarville Vineyard wines are hand-crafted by Jonathan Lachs and Susan Marks from their sustainably farmed estate vineyard in the Sierra Foothills of California. 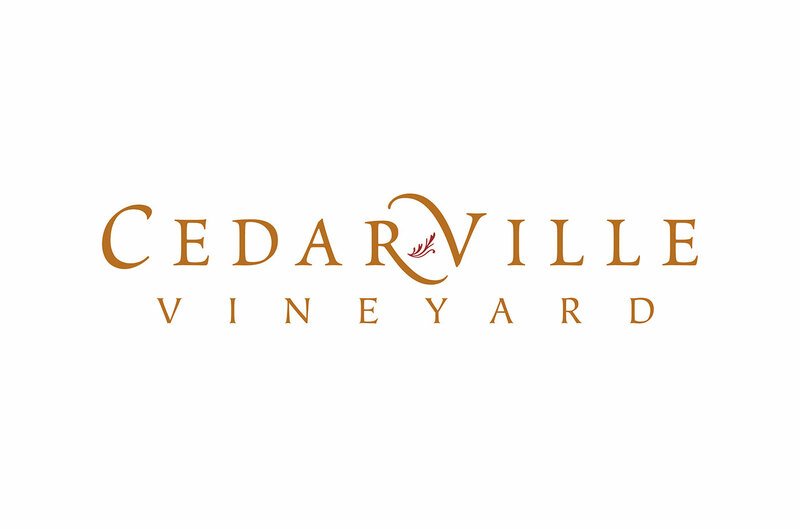 Both educated in enology at UC Davis, Susan and Jonathan’s dream of having their own Vineyard came into focus in the mid 90s when they found the perfect 20-acre property that would become Cedarville Vineyard. From our first conversation with Susan and Johnathan, we quickly understood their passion for winemaking was not just rooted in the soil of the Sierra Mountains in California, but rooted in the story of their own vineyard and the surrounding foothills. 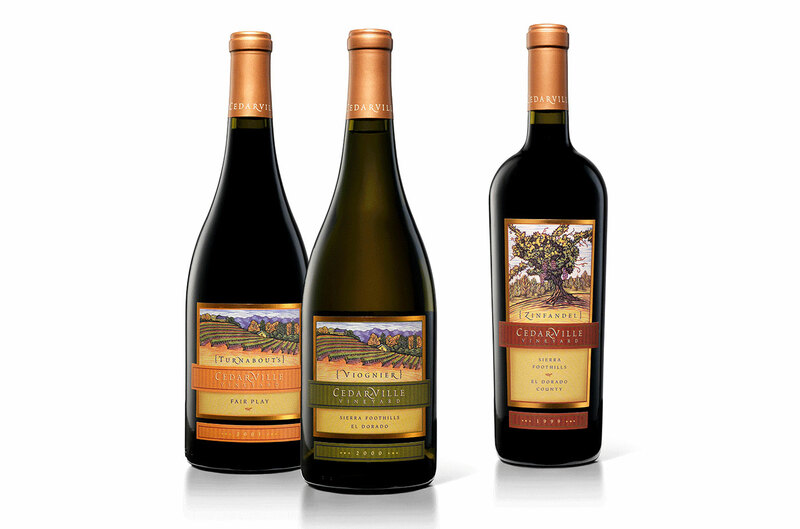 From the organic practices in their terraced, hillside vineyard, to the underground cement caves they built below the winery, to the granite boulders and majestic groves of Oak trees bordering their property, every bottle of wine represents the land and the craft these winemakers apply to their wines. 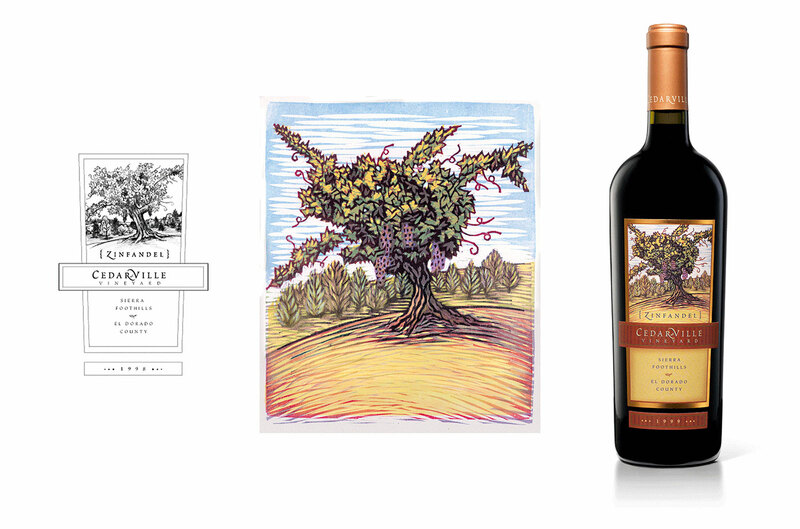 To help express these attributes, we worked with woodblock artist, Jim Meyer, to depict different scenes from around the Cedarville Vineyard as the center piece of each label. Jim created 8-color reduction woodblock prints from our concept sketches and photographs. 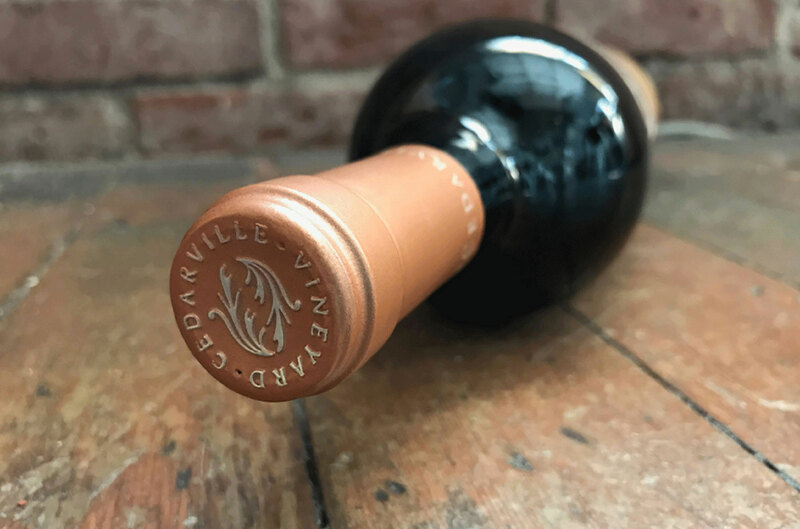 The result: A wine brand that stands out on a very crowded shelf of California brands, and tells the story of the Sierra Foothills region, and the Cedarville Vineyard. There is an artistry to this brand, thanks in part to the special woodblock prints, that lets the buyer know that these wines are special and unique, full of character and nature.